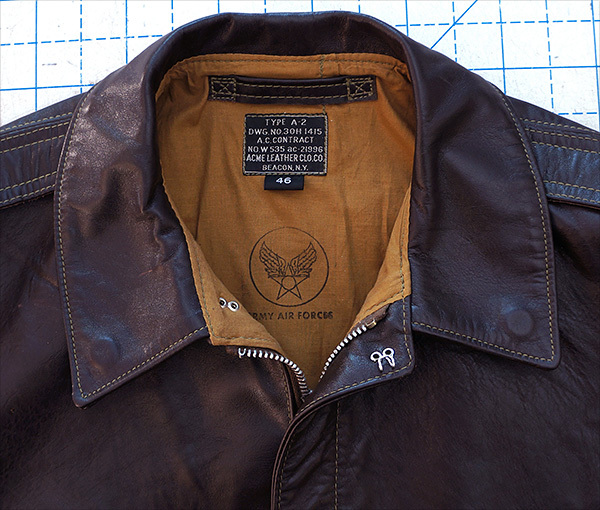 This jacket is an identical creation of what Aero had been making in their W535-AC-21996 A-2 contract. 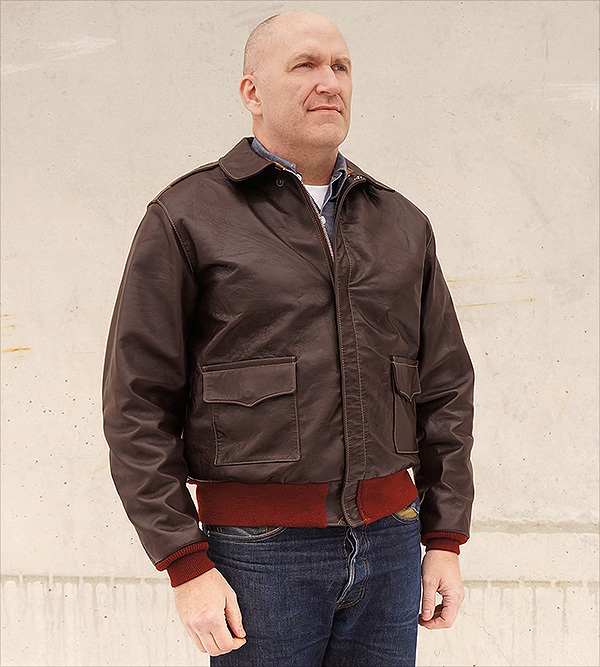 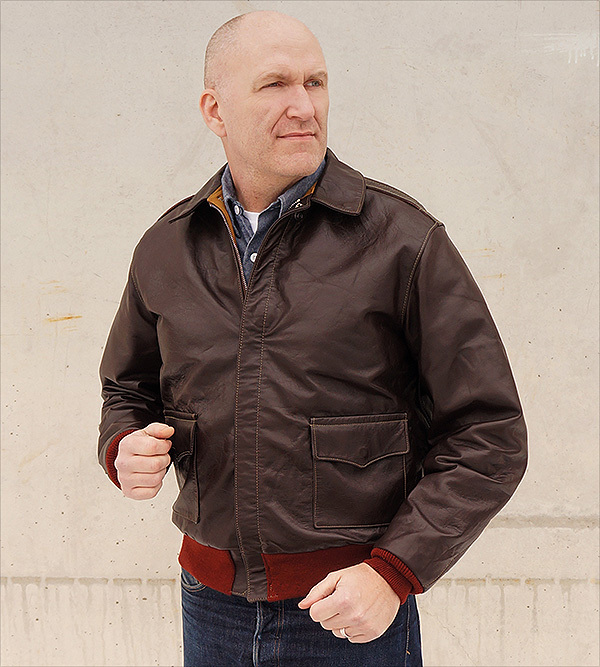 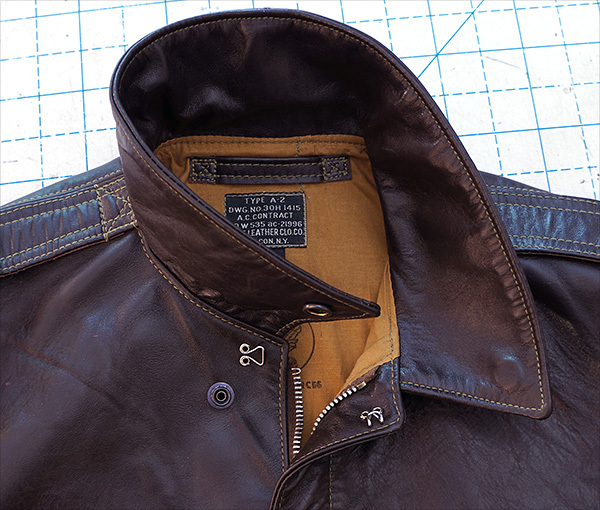 The jacket is made with Horween horsehide, which is soft and of a lighter feel, which would be common for many jackets of this contract. 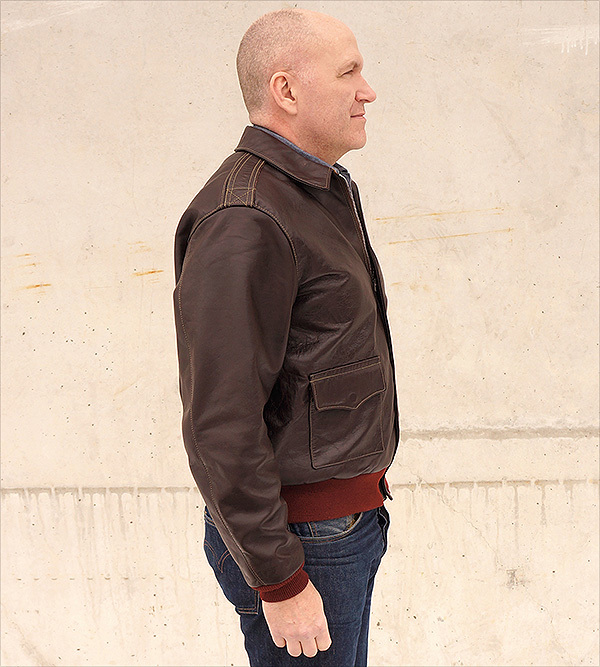 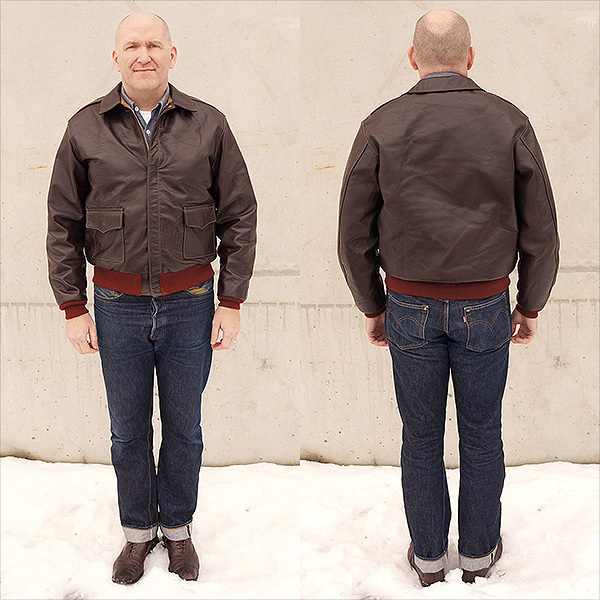 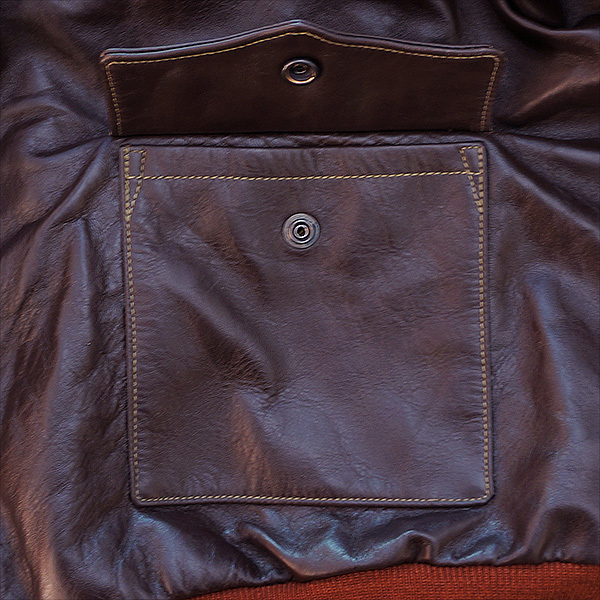 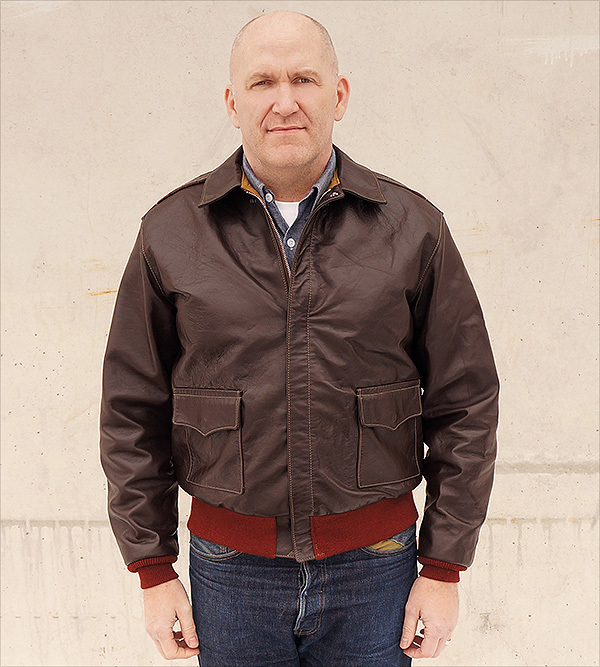 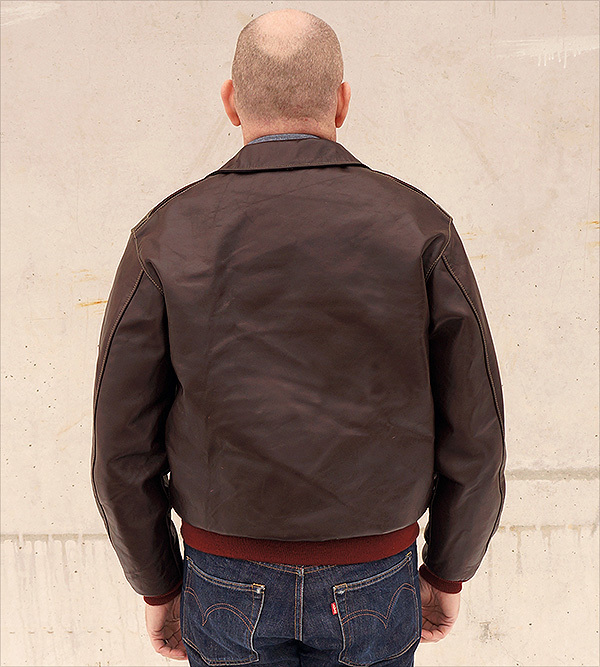 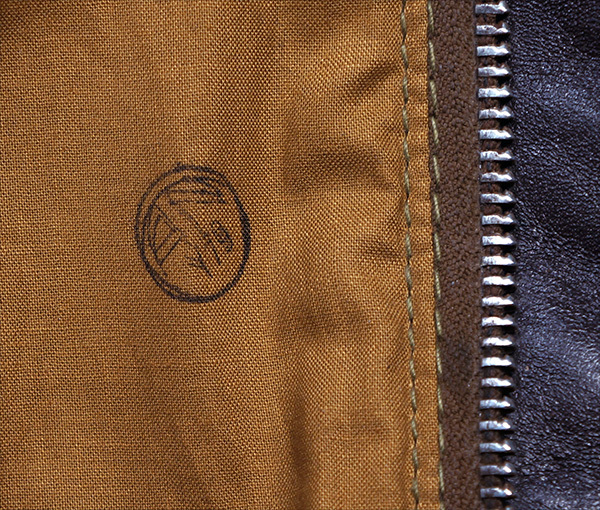 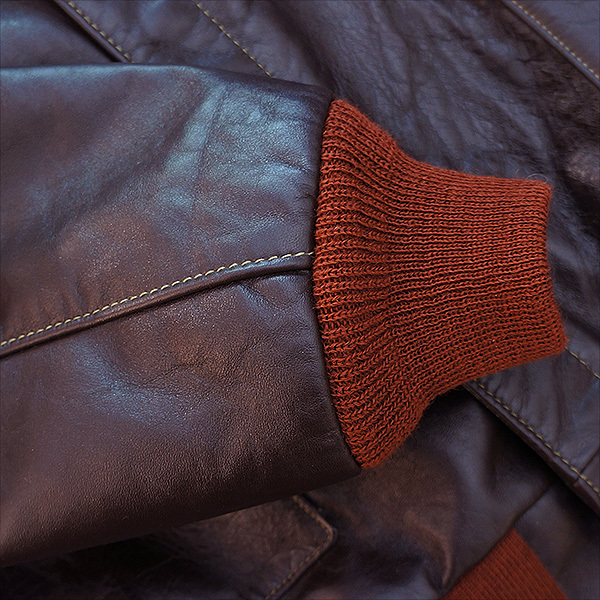 The horsehide has plenty of natural grain, and will become much more grainy as the jacket is worn. 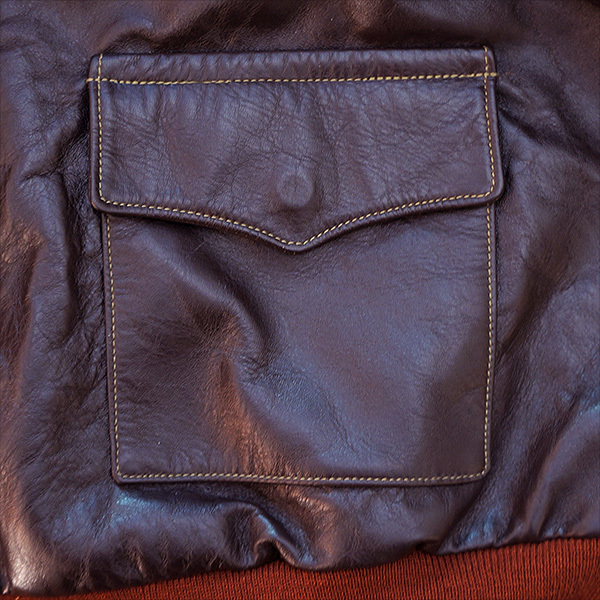 The finish on this horsehide is durable, but over a long time, with much wear, the top seal color will fade and show the lighter brown base color. 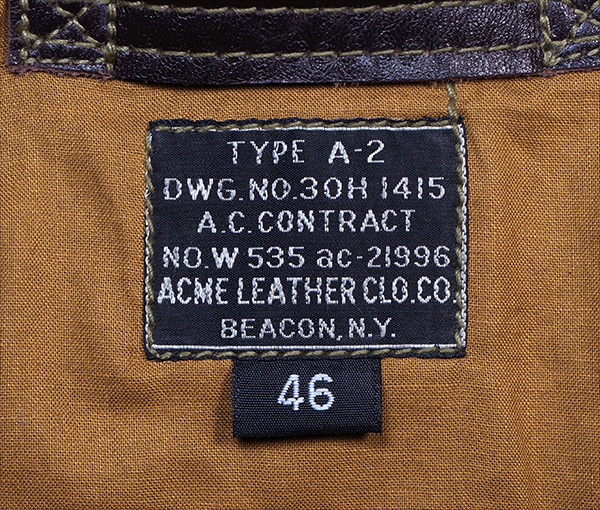 The knits are a reddish tone, identical to what Aero used on almost all jackets of this contract, as well as their next contract, 15142, and some of the last 18775 contract. 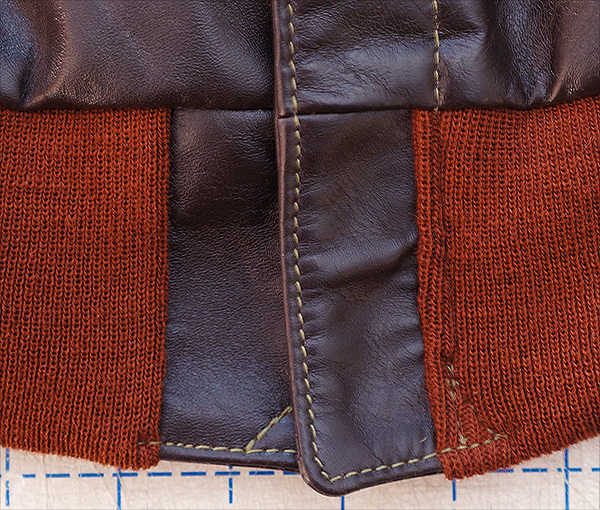 We believe that the Army, under duress of wartime procurement difficulties, purchased reddish yarn for a good price, and didn't care that the knits had a very different shade than the leather. 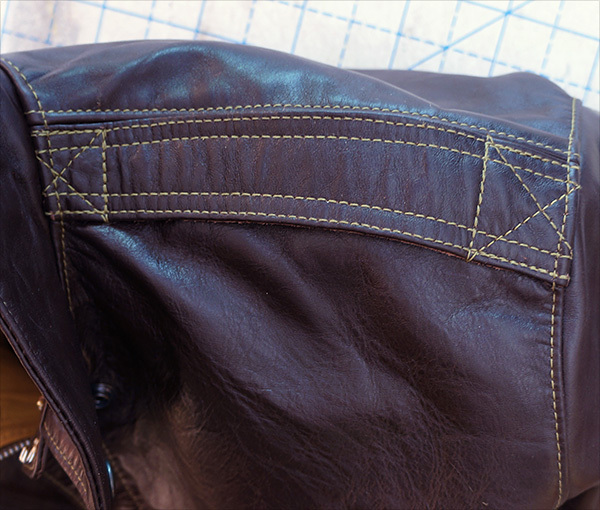 The zipper is a used WWII M-42 Talon, but it works just fine, and looks great. 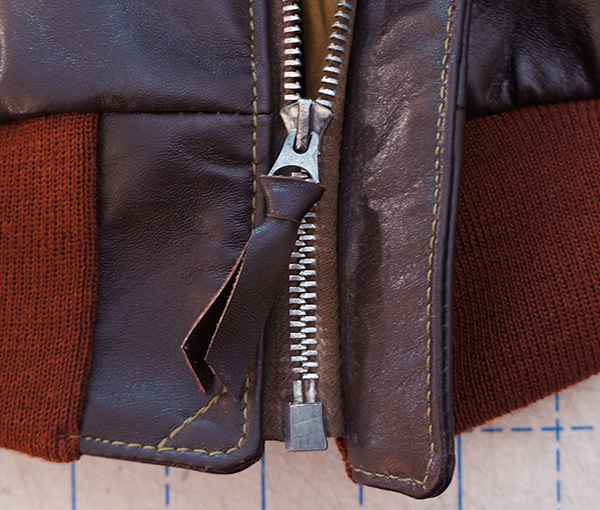 There's a little bit of verdigris in the teeth pocket (where the teeth join, under the outermost point of each tooth), but this has no effect whatsoever in how the zipper operates. 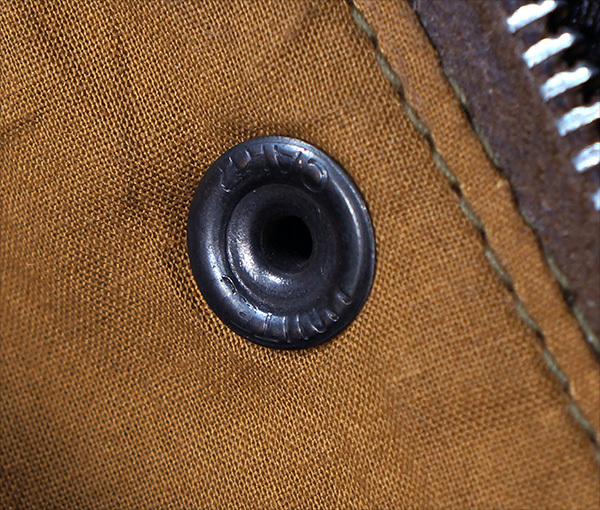 The snaps, which were made by United-Carr, are literally identical to those used on Aero's 21996 contract. 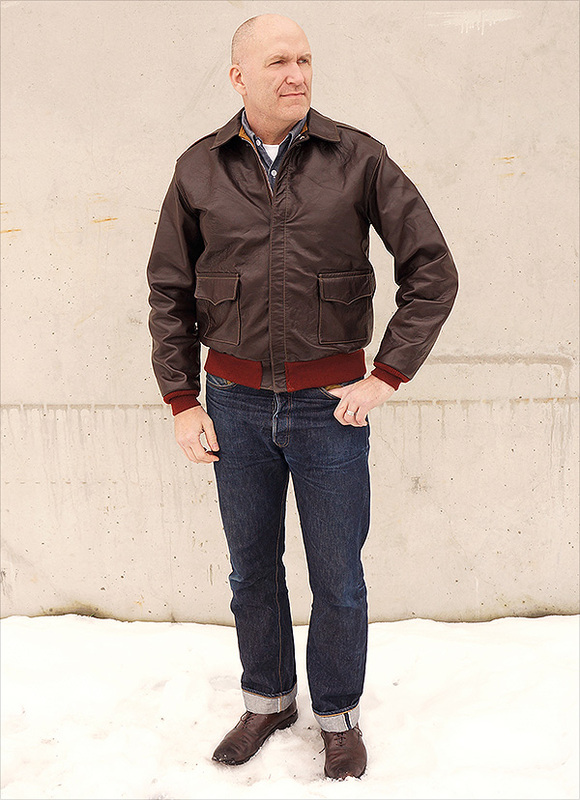 We have a very healthy collection of these vintage snaps, made in 1943 for the Navy, and they operate perfectly, and are in as-new condition. 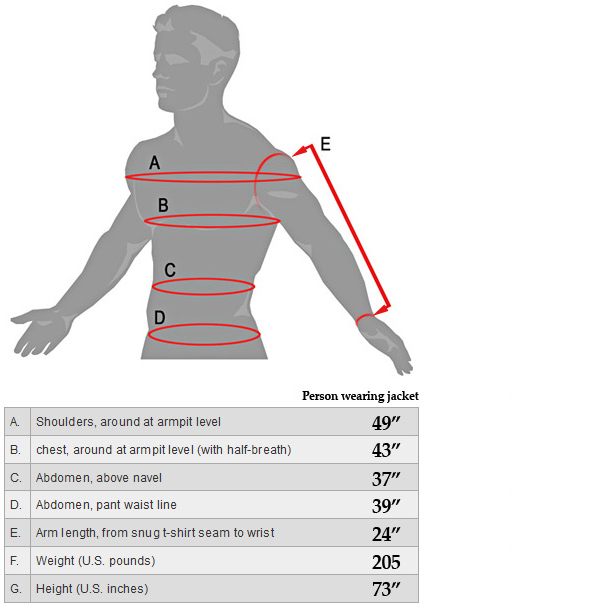 Front chest under arms 24.5"
Back width under arms 24.5"
Sleeves, from shoulder to end of cuff 26.5"